After a game drive with excellent Giraffe, Lion, Rhino and Hyena sightings we made our way back to the Lodge when the sun had set and the moon was providing the illumination. This picture is by no means perfect. It is a freehand shot with very little light. 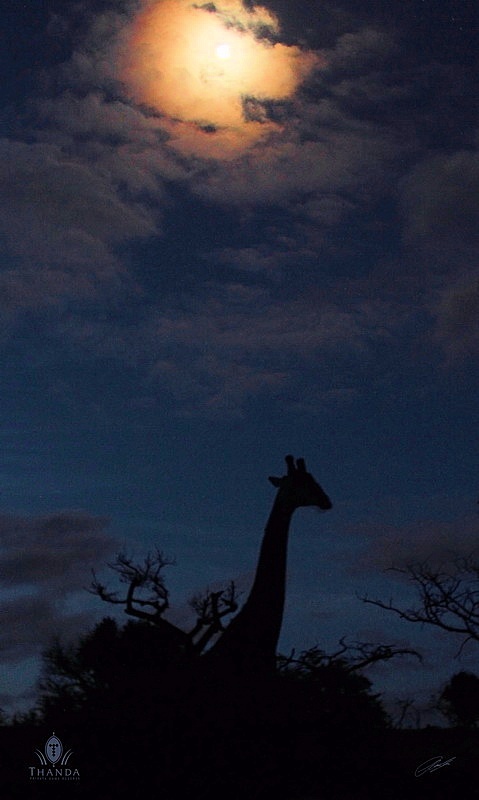 But it represents the magic moment experienced by the Thanda guests – seeing a Giraffe moving soundless under the moon. Wow, excellent job capturing the moment. I’m sure it was a magic moment.